The Supreme Court has declined to rescue a 2011 North Carolina law that would require an abortion-providing doctor to show a patient an ultrasound of the fetus and describe it in detail, including the size of organs and limbs. A federal appeals court already declared that the law was unconstitutional because it violates the doctor’s free speech rights. SCOTUS may have agreed, but similar laws in North Dakota and Texas have been upheld by federal appeals courts, which means they never got the chance to be slapped down by the Supremes. According to Guttmacher, doctors are required to show and describe ultrasounds in Louisiana, Texas and Wisconsin, but the same requirement was permanently blocked in Oklahoma. In Louisiana and Texas, a pregnant person is generously given the option to decline to listen to the description under certain circumstances. In Wisconsin, a sexual assault victim isn’t required to hear a fetal description. There’s pretty much no way to make a law against a woman turning her head away during the ultrasound, or you can bet someone would’ve mandated that too. “Politicians across the country should take note,” she added, “these harmful and unconstitutional restrictions won’t be tolerated by the courts or the public.” Except in the states where they are. Former North Carolina Bev Perdue pictured in 2012. 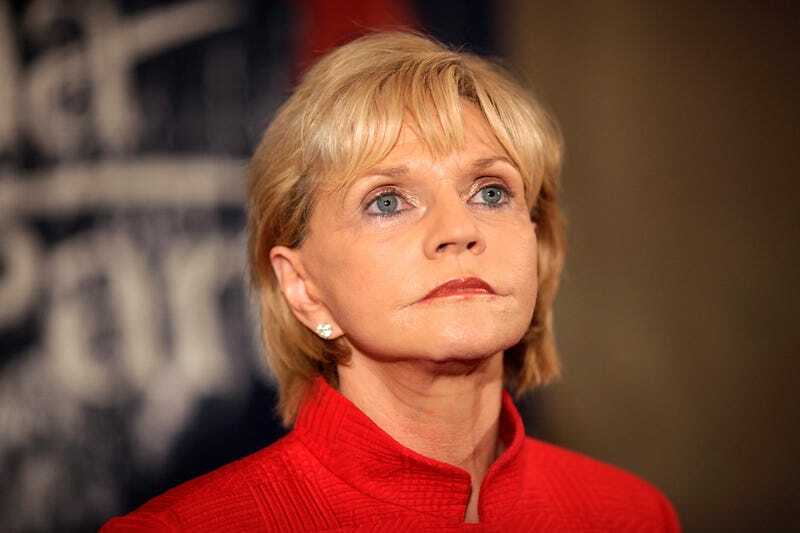 Perdue vetoed the ultrasound law, but her veto was overridden. Image via AP.